Call me cynical, but I’m not sure FX’s ‘American Horror Story’ was always going to be an anthology. Don’t get me wrong, I think it’s a good idea – I just don’t think that’s what creator Ryan Murphy originally had in mind. After watching a handful of Murphy shows, it has become clear that he is one of those people that likes to take anything and everything – throw it at a wall – and see what sticks. I think that’s why his shows start off so well – and then fall so fast. That’s how ‘American Horror Story’ was in its first season. It took off out of the gates – and then dropped like a rock. Still, there were certain things to like about the first season. There were certain things to dislike, as well. The second season – which kicks off Wednesday – is set in a haunted asylum instead of a haunted house. It brings back first season actors Jessica Lange, Evan Peters, Sarah Paulson and Zachary Quinto and pairs them with newcomers James Cromwell, Joseph Fiennes, Chloe Sevigny and Ian McShane. I was pretty fed up with this show at the end of its first season. That being said, I like the photos coming out of the second season – so I’m going to give it a try. Let’s just hope this anthology idea works. Rebooting after every season could work in Murphy-land. Also debuting this week are the CW’s ‘Emily Owens MD’ on Tuesday and ABC’s ‘Suburgatory’ on Wednesday. Pickings are slim in the DVD and Blu Ray department this week. The Adam Sandler bomb, ‘That’s My Boy’ and the horror dud ‘Chernobyl Diaries’ both bow on Tuesday. Neither one really excites me – but I’ll at least check out ‘Cherynobyl Diaries’ – only because it’s horror movie month. For kids, ‘Madagascar 3’ will also be available. As for television, the complete series of ‘Alcatraz’ and ‘Columbo’ also debut, while ‘Mad Men’ offers up its fifth season of drunken debauchery. Keifer Sutherland’s ‘Touch’ will unveil its first season – and the always sublime ‘Psych’ debuts its sixth season. As far as new music, the pickings are also slim this week. 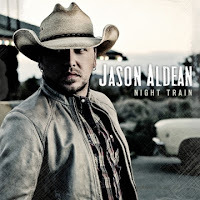 Country super-star Jason Aldean’s ‘Night Train’ bows with 15 new tracks. It will be interesting to see if he can sustain his popularity despite his extra-curricular antics. ‘American Idol’ alum Scotty McCreery also debuts a Christmas album (in October, blech) that has 11 new tracks. In theaters, the putrid ‘Paranormal Activity’ series offers up its fourth movie on Thursday. Why people go and see these is beyond me. In wide release Friday is ‘Alex Cross,’ which offers Tyler Perry in a rare serious role and an almost unrecognizable Matthew Fox as a villain. 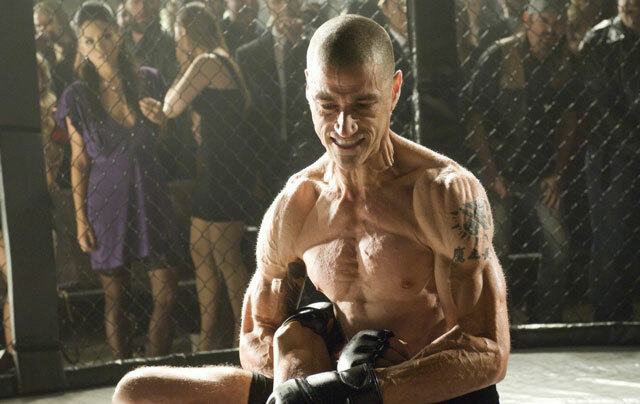 Fox is always a standout, but this will be an interesting role for Perry. I’m curious whether a mainstream audience will embrace him as anything other than Madea. As far as video games, I’m not really into anything, but that are two relatively interesting offerings. The first is ‘007 Legends,’ which lets players go on all of James Bonds’ most famous missions. I like movie tie-ins, but I’ve never been a Bond fan. The other is ‘Doom 3,’ which is more splatterific fun. For those that get the Ultimate Collection, the original ‘Doom’ games will also be included. What do you think? What are you most interested in this week?